... and thank you for visiting my website. 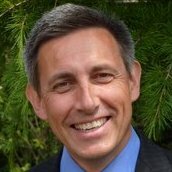 My name is Dave Webster, and I am a qualified Person-Centred Counsellor and registered member of the British Association Of Counselling And Psychotherapy working in Beckenham and South London. If you are feeling troubled or have concerns about what is happening in your life, please feel free to contact me to discuss how I can help and to make an initial appointment. Many of us experience distress and difficulties within our lives and this can often leave us feeling alone and unable to cope with the issues that we face. It is at times like these that counselling can help us. Talking to a qualified professional in a non-judgemental, confidential environment can be very helpful as we explore these difficulties, and by understanding why we feel as we do, we may start to find our own answers.